How to survive long-haul flights? Flying economy for 10 hours can be one of the worst life experiences. 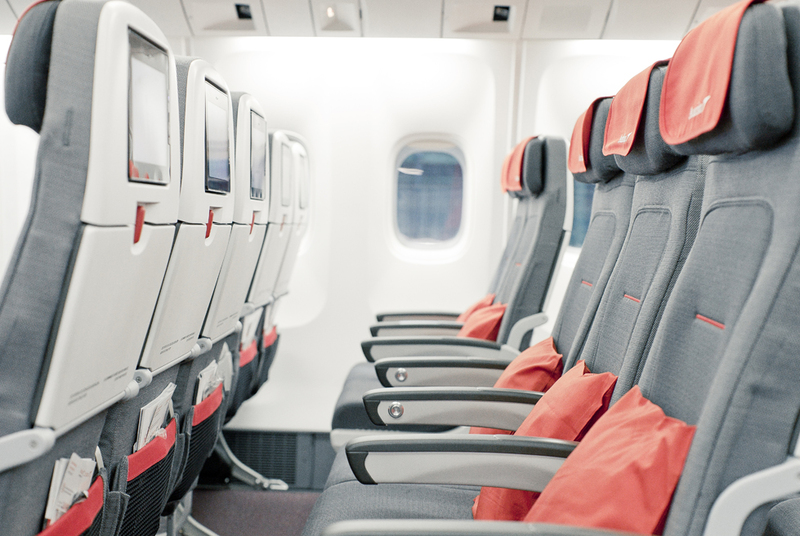 Here are a few tips to survive long-haul flights. 1. Entertainment. Your electronic gadgets can rescue you from boredom. Cram your iPad or laptop with your favorite flicks or TV series. If your eyes are too tired for a movie, you can listen to your favorite music. Stock up on paper and books on your e-readers (Kindle is my favorite). And don’t forget to charge up your electronic gadgets. Also, invest in a quality pair of headphones (one that is capable of cutting down ambient noise). 2. Get comfortable. Boarding a 10-hour flight in executive wear is not a great idea. Change into a super comfortable outfit before you board the plane. A pair of cashmere socks may prevent your feet from getting cold (common for window seat aficionados). 3. Get some sleep. Stay away from alcohol. It will only make your sleep worse on a long haul flight. Carry with you an eye mask, neck pillow and ear muffs. Ear muffs can keep you warm, cut down ambient noise and lull you to sleep. 4. Stay hydrated. Purchase the largest bottle of water available before boarding the flight and have it refilled by the flight attendants during the flight. Hydration is everything. Try to avoid heavy foods as well – you are not burning many calories sitting 10 hours in a plane. 5. Board relatively rested. Don’t count on a long-haul flight as a good place to catch up on sleep. It’s not. You will be on the plane long enough to get a few naps even if you are somewhat rested, and a good advice would be to take it when it comes. If your eyes start to droop, get out the eye masks and ear muffs, and go with it. If you throw away a solid two-hour nap on a few extra rounds of Angry Birds, you might well be angry at yourself later.